In this updated JJOS review, I’m going to take a look at the ‘free’ JJ operating system which is currently version 3.15 for the MPC1000 and 3.10 for the MPC2500. Since I originally wrote this JJOS review a few years back (which was written for JJOS 3.08), this free JJOS has received a few new updates and tweaks (especially for the MPC1000). So, let’s reassess where the free JJOS is now compared to the official (and we assume, final) Akai OS for the MPC1000/2500. If you are an owner of an MPC1000, you are probably aware of a few bugs that (at the time of writing) remain unresolved by Akai, even though they are currently on OS version 2.13 of the official MPC 1000 operating system. In 2007, a rumoured ex-member of the Akai coding team (nicknamed ‘JJ’, which stands for Japanese Jenius, a name given to him by his followers on MPC-Forums.com) released his own (free) version of the MPC1000/MPC2500 operating system. The idea behind the free JJOS was to fix all the outstanding niggling bugs present in the official Akai operating system and to make some small workflow improvements. It was also to be used as a ‘gateway’ operating system to the far more advanced paid-for JJ operating systems, such as the JJOSXL and forthcoming JJOS 3. Let’s have a look at what the free JJ OS offers the Akai MPC 1000/2500 owner over the default Akai OS. To improve the load and saving of samples, a more intuitive directory system was installed into the LOAD and SAVE screens. This new file management area is similar to the one employed in the advanced JJOS versions. ON the whole it is easier to use than the Akai Os but with one caveat – you can no longer filter your view based on file ‘type’ – i.e. you cannot choose to just view programs or sequences like you can in Akai OS. The argument from JJOS owenrs is that with the new file management system there is no need for such a filter as it’s already easier to locate files. Other than that, improvements have also been made ot the USB transfer mode. First to deal with mounting issues with Mac OS, a dedicated ‘MOUNT’ button has been added to force the Mac to recognise your MPC. But the big improvement is that you no longer need to manually remove the USB cable from the back of your MPC in order to leave the LOAD screen. Seriously, this has to be one of the most infuriating ‘features’ of the Akai OS and I still cannot believe this was never resolved by Akai. Other than that, it’s the little tweaks that make a difference. For example, loading up individual sounds no longer the additional step of selecting which pad to assign it to (or having to assign it as ‘OFF’); instead you can set JJOS to just load direct into memory with no ‘sample assign’ screen whatsoever. A basic form of GRID EDITING was added to the MPC1000 free JJOS (accessed via MODE and pad 15), although this is not as full-featured as the native grid editing on the MPC2500, nor of grid editor on JJOS XL. This is a great feature if you prefer a more visual way of inputing sequencer events. ‘Audio Tracks’ allow you to record audio performances directly into sequencer tracks (tracks 61-64). This is not hard disk recording though – any recording you make is saved directly into RAM, as if it had been recorded via the RECORD page. Your audio recordings are available as standalone samples in the TRIM screen and are of course saved with your project file. They also allow for multiple takes and full MIXER control within the actual sequencer track itself. which can then be extracted as samples. It also allows for ‘bouncing down’ of sequencer and audio tracks together to save track space. Trimming and looping is simplified by automatically adjusting sensitivity whenever you zoom into the waveform; there’s no for the ‘Fine’ screen and hence workflow is made more efficient. Waveform height adjustment is also added to ensure much more accurate editing. Zooming itself can also be achieved through the BAR keys, while waveform height is adjusted through the ‘up’ and ‘down’ cursor keys. Chopping is a graceful affair, again with all the friendly zooms and an effective AUTO slice. The COMBINE function is gone though (I assume to make space on the F key menu), so to combine two regions you simply ‘extend’ the end point of region 2 all the way to the end point of region 3. Sample Edit now includes some additional editing options in the shape of various STEREO > MONO functions, including a unfortunately fairly ineffective vocal cut algorithm. The standard program screen is unchanged, however ‘Global program editing (GPE)’ is added via MODE and pad 11. This is a quick way to access many program parameters and mixer settings for any program, which also gives you the ability to edit all pads simultaneously. Tap Tempo can be performed via a pad rather than through the tap tempo button (thus improving playability and sensitivity). Pad sensitivity range is increased from 1-16 to 1-25. TRACK MUTE screen interface has been given a minor facelift with additional ‘ALL MUTE and CLEAR buttons added. Some MPC1000 owners (myself included) experienced a bug that caused pads to accidentally trigger themselves multiple times from a single hit. OS 3.15 finally fixes this bug. Some MPC1000 owners also have issues with their data wheel not correctly moving ‘1 step’ for every ‘1 click’. This was fixed in an early version of JJOS, however you must go to the OTHER screen to select your data wheel type (1 or 2). Once set, that bug is a thing of the past. JJOS is also known to address some saving bugs present in the Akai OS. But be aware that many people find that they have to reformat their disks with the JJOS formatting system before their saving issues are completely nullified. It ‘completes’ the native MPC1000/2500 operating system, fixing outstanding bugs and streamlining certain functionality to improve workflow, hence giving most MPC1000/2500 owners a much improved experience for no additional financial outlay. It introduces people to the world of JJOS and acts as a gateway to the more advanced JJ operating systems available. These are obviously optional but with features such as non-destructive chopping and advanced grid editing, these premium operating systems provide additional tools to the beat maker and help extend the usefulness of the MPC hardware. All in all, the free JJOS is a complete no brainer for anyone who owns an Akai MPC1000 or MPC2500. It’s free, stable, safe to install and provides loads of extra features and bug fixes. And if for some reason you decide to go back to the Akai OS, it’s as easy as just re-loading the Akai OS file from the JJOS LOAD screen. Give it a go today. An MPC1000 or MPC2500 running the free JJOS is a powerful beast of a machine, but can have a steep learning curve especially if you’ve never used an MPC before. Since 2002, I’ve been writing tutorial books for the MPC series including version of my critically acclaimed book tailored specifically for the Free JJOS. 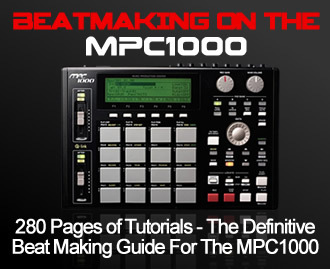 ‘Beat Making on the MPC1000‘ and ‘Beat Making on the MPC2500‘ are fully compatible with both Akai OS and the free JJOS, and cover everything from fundamental MPC workflow theory right through to advanced sound design, sequencing and beat creation skills. Each tutorial is written in a practical, hand-on manner and includes all the files you need to recreate every single tutorial within your MPC as you read along. You can find out more and purchase the book from our sister site, MPC-Samples.com, where you can download it instantly after purchase. In addition to the JJOS tutorials here at MPC-Tutor.com and my JJOS ebooks & videos that I sell at MPC-Samples.com, make sure you create a free account at MPC-Forums.com where we have an entire forum dedicated to JJOS. There you’ll get help from thousands of fellow JJOS users and no doubt make lots of friends and contacts along the way. There’s over 45,000 registered members there, it’s the largest Akai MPC community on the planet, and it’s completely free to join – so what are you waiting for?! this post has been super helpful. I am newbie MPC1000 user and have been really frustrated with the loading/saving bugs with the stock OS. I just installed 3.16 and it seems to work really nicely. Question: I have saved all my filed onto my computer, but I can’t open them with the new operating system. Is there a way to convert these files? Either the plastic tap tempo button is busted and not connecting to the tact switch underneath it, or the tact switch itself has failed (or possibly just needs cleaning with Deoxit). Either way, the MPC will need opening up and checking by someone who knows what they are doing. I just uploaded 3.16 for my blue mpc 1000, and when I push the pad once, I get multiple repeats of the drum sound, as if the note repeat button was on. I noticed you mentioned this bug, but I didn’t see how to fix this, help!!! I am a patron of you great drum sounds and own your great book, beat making on the mpc. My mpc 1000 with 3.16 freezes when i try and use the”whole” option to change the values of entire program. It only freezes when i want to only change way a specific bank like from b1 to b16 for an example it will just stop. Now i was in program screen and it froze when i changed pgm by holding f1 and turning data knob. Do you h have any suggestions maybe like a combat you can do to slap its jjos up side its head. Turn off the MPC, hold down the ERASE button and turn the MPC on again, keeping the ERASE button held down all the time. Release it once you see the JJOS splash screen. This will reinitialise the OS and can fix odd bugs. Give it a go, let me know if it fixes it. i cant . erase my mpc i have a jjos 3.16 i try to turn of and pres erase when i turn on but is not workin help me please , when i go to save my screem is froze the half. screen and when go to programs i turn DATA. when i try to put a sample in the pad is froze too is brock my mpc ? I’m finally going to do the transition from Free JJOS to JJOSXL. I have 2 questions. (1) Will JJOSXL allow me to access Projects files made on the Free JJOS version? (2) Does the JJOSXL provide better sound quality, than the other JJOS’s? Depends on what you want to do, each version of JJOS has different features, but you can certainly make music with the free JJOS. It’s free, so install it and see if it meets your needs. OTHER > PAD (F4) – have a play around with the ‘pad on level’ setting. I have JJOS 5.43 on a MPC2500. Has anyone heard of this version? I cannot find any documentation on this version. Is it a earlier free version? Is there a ton of difference in layout between the free version and the paid version? i just installed the free version and have been looking at tutorial vids of people using the paid version and the directions they give seem to be difficult to follow due to screens not being completely alike..
also some issues: i go to trim/chop samples and once i scroll to chopping to my selection (example: 8.0 pads) i have no available selection to “Do It” or save these chops..
i have the 128org free version of large screen in my mac 1000. decided to try out the xl version. when i downloaded it the file doesn’t have the usual zipped folder logo, it’s looks just like it w/o the zipper. put it on my mac and it appeared to write the new os, but when i turned of my mpc and back on,it just says “jjos128xl start! !”, and flashes this screen on and off but never starts up. I tried writing the 128org back in but it just flashes the “os128xl start! !” again. FYI, it will still write the old free regular size os and the old mac os, just not either of the large screen versions. PLEASE HELP! I only have half of the large screen with the old jjos. Help, i don’t own a computer and need the free mpc1000 jjos to fix data corruption/saving/loading issues, i don’t own a computer, i would like to paypal for a cf card with the free jjos on it, can anyone help me out? I’m in san francisco.